Filipino Cuisine is never complete without Sinigang. The rich and sour broth definitely brings comfort to each Pinoy. 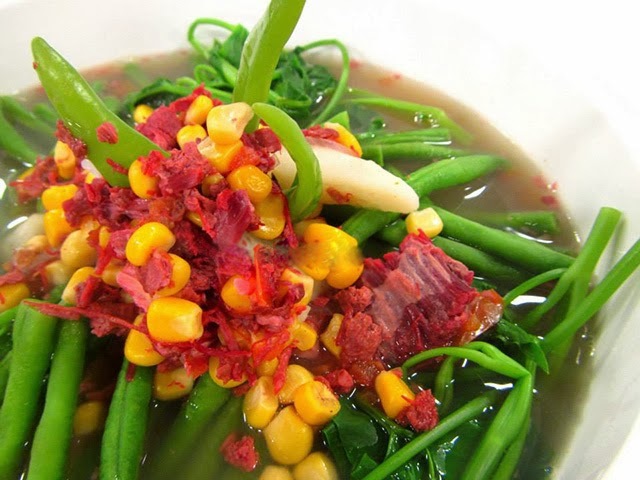 One of the newest versions of sinigang is the Sinigang na Corned Beef. You can imagine the the wonderful flavor coming out of those briskets mixing with the good-sour taste of Sinigang. 2. Blanch green vegetables in water with baking soda. And place in ice bath. 3. Place corned beef, in sinigang stock and simmer for few minutes. 4. Place vegetables in a bowl and pour stock with corn beef. Serve hot.